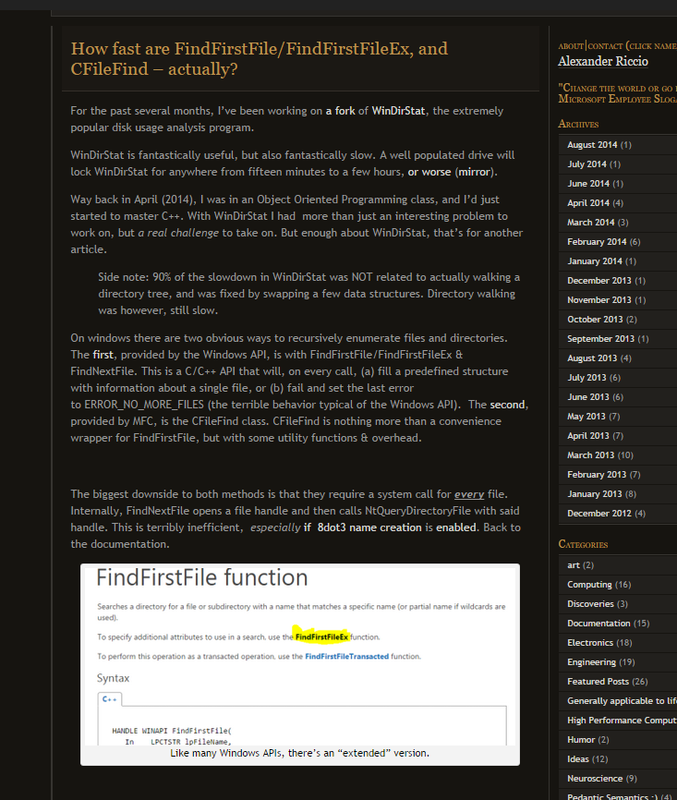 PREVIEW: How fast are FindFirstFile/FindFirstFileEx, and CFileFind – actually? I have a post in the works about the performance of enumerating a directory with FindFirstFile/FindFirstFileEx, and CFileFind. I also investigate the various performance “tricks” (more like myths) used to speed these APIs up. FIND_FIRST_EX_LARGE_FETCH doesn’t do what you think it does. ~ by Alexander Riccio on September 28, 2014.